Storms brought misery to Britain last week as 90mph winds brought down trees, blocked roads and caused travel chaos. But for those living in certain areas, the gales brought the very real headaches caused by screeching buildings and ‘singing’ skyscrapers. A number of buildings have been heard giving off whistling noises during blustery weather, usually caused by architectural features added to the outside. Torbay hospital is the latest to be added to the list, where locals noticed that a new metal facade on the building was whistling in the wind. But the health centre is not the first to be hit by the issue. The Beetham Tower in Manchester has developed a reputation for howling, humming and whistling every time the wind picks up, prompting repeated attempts to tackle the problem. While the use of drones by the US military continues to provoke controversy over claims they’ve been used to killed countless innocent victims, other more positive uses for the technology are also being developed. 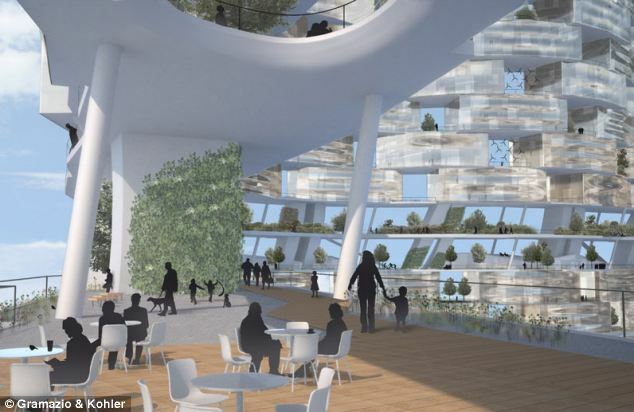 In Switzerland a firm of architects is using drones to help develop an entirely new type of architectural structure that could develop into the skyscrapers of the future. The ‘Flight Assembled Architecture’ project has been developed by architects Gramazio & Kohlerin collaboration with Raffaello D’Andrea, Professor of Dynamic Systems and Control at the Swiss Federal Institute of Technology in Zurich. 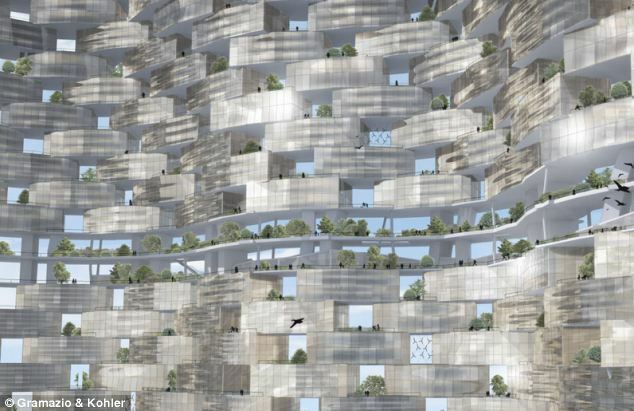 Their concept includes developing small robotic ‘quadrocopters’ to build complex cylindrical towers which they believe could stand more than 600 meters tall and house 30,000 inhabitants. The drones would operate semi-autonomously and be capable of communicating with one another and independently sensing the height of the tower to place their block accordingly, reports Smithsonian.com. 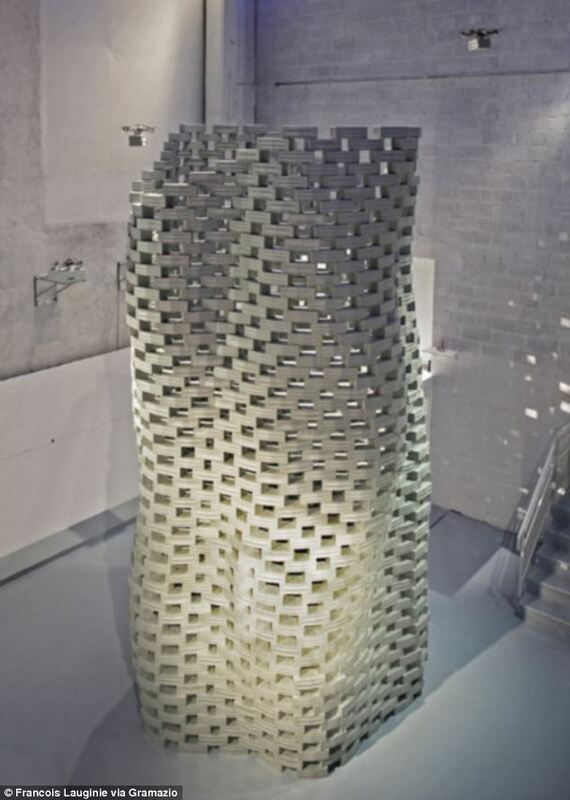 A prototype of the structure and the drones has been created at the FRAC Centre in Orléans, France using model drones programmed to lift 1,500 foam blocks into a complex cylindrical tower standing more than six meters high. As these images by François Lauginie show the model drones and towers offer a potentially innovative solution for creating high-rise buildings in urban areas where construction can be incredibly difficult and costly. 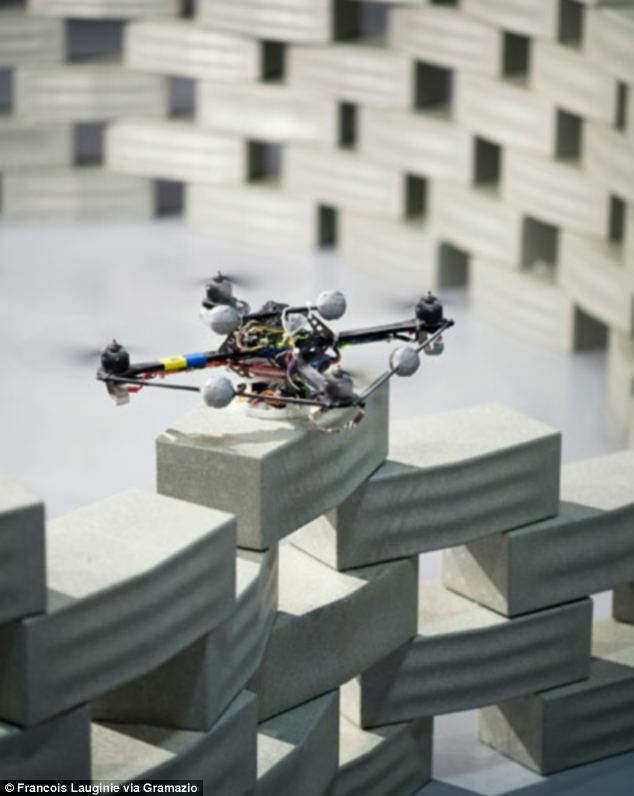 At the cutting edge of speculative building technology, construction drones offer a more advanced solution than erecting scaffolding and using cranes. However for Gramazio & Kohler’s model to become reality will require the development of high-performance lightweight materials, as current materials are too heavy for drones to lift. These designs help show that there is a world of possibilities for drones beyond warfare. In the future drones could be programed with different ‘skills’ or built specifically to perform particular task such as working in areas that aren’t fit for humans or helping in disaster relief and other emergencies.